Creating new doors in walls is core to the destructible strategy in Siege. Creating new walls, new windows, and actual new doors is core to Map Buffs. The Level Design team is constantly looking at ways to iterate on maps in small, focused updates through what we call Map Buffs. 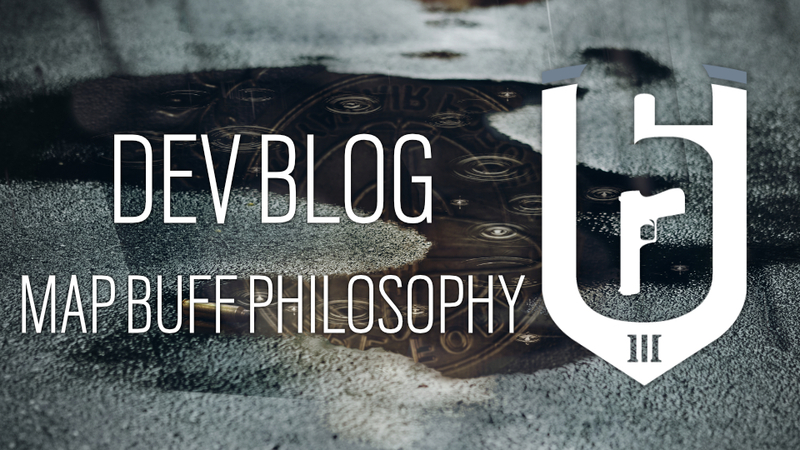 Introduced for the first time in Operation Para Bellum with the Map Buff of Clubhouse, we wanted to revisit the philosophy of these decisions, as they will be a key feature in the future. 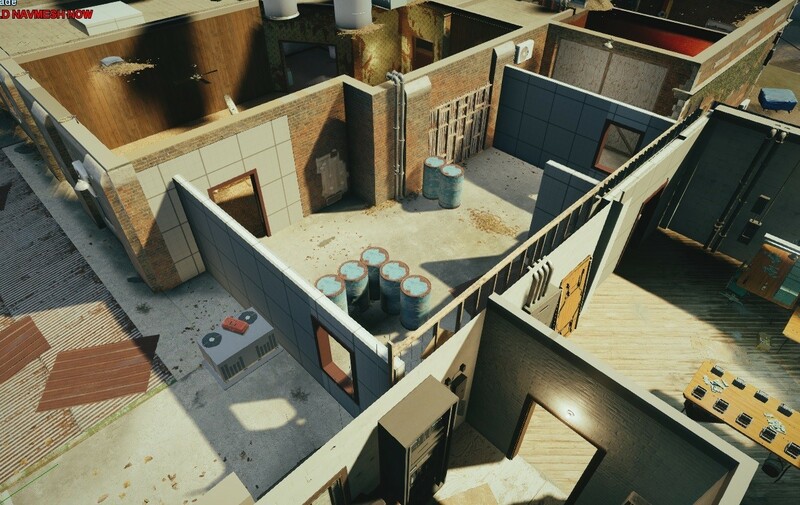 Here is an example of the Clubhouse Map Buff where a connector was added to the second floor to bridge the two structures. After two years, some maps or parts of maps in Siege can feel stale. 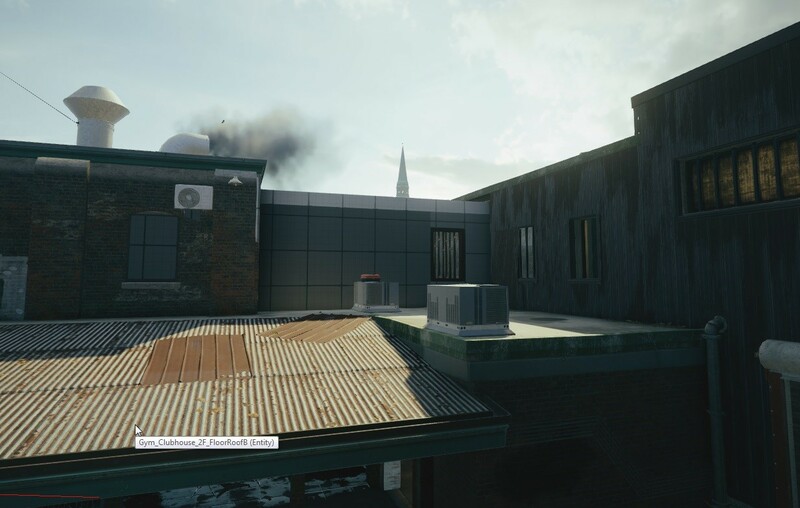 As players and playstyles evolve, there are also areas of certain maps that lack competitiveness. This can make a map unbalanced or even just not fun to play. The philosophy of the Level Design Team when creating Map Buffs is to give maps new life while improving the competitiveness. The team builds onto the existing structure and flow of the map that improves on these qualities without completely changing the experience of the map. This is where Map Buffs differ from Map Reworks. Map Buffs are surgical and limited changes are focused purely on gameplay. These are more rapid iterations on a map that require reduced workload on the art team. They aim to offer a few critical improvements to competitiveness, mainly more viable objectives. The Level Design team looks at the objective pick rate in Ranked and Pro League and attempt to redistribute it more equally with these buffs. In the future, we plan to introduce Map Buffs on a more regular basis. They all will not be as robust as the changes made to Clubhouse, but they will be focused on the philosophy outlined above. For more information on the upcoming season, follow Rainbow Six Siege on Twitter and Facebook.